Been waiting for a good "heavy-metal" from "ARDA"?! As the saying goes, "You want heavy-metal?! We have them!" 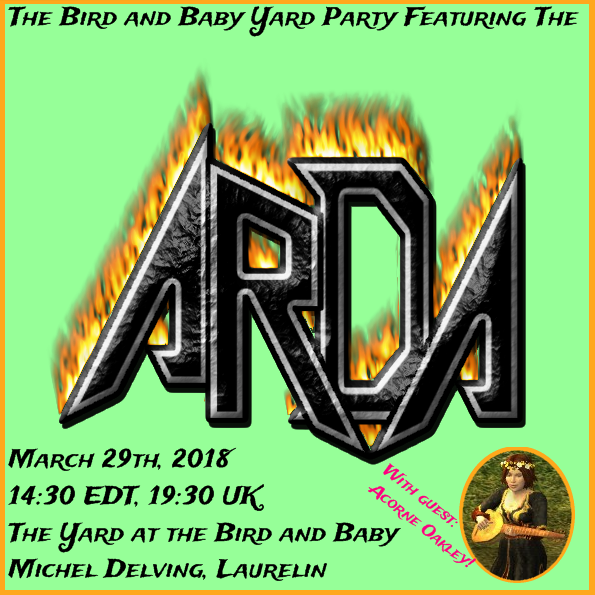 At the 29th of March will be a performance of "ARDA" at one of the our most favorite events "Bird and Baby Yard party"! 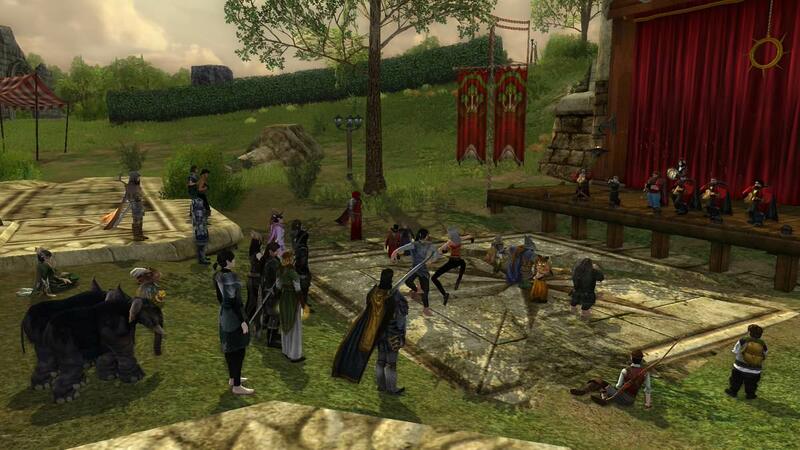 The concert will take place at "Bird And Baby" inn in Shire on the Laurelin server. On this wonderful and honorable event, we will present typical for "Arda" styles - hard rock and heavy metal, with a small number of folk-rock, suitable for the cute hobbit environment. The concert will be remembered by several facts. First, a few songs will be played with the use of fiddle, we first performed with it, we will try to curb the rebellious strings of this fiddle! The second and the biggest surprise - this time, "Arda" will play with one star that will try on the image of a brutal adept of heavy-metal! "ARDA" will play together with sweet and legendary lady ACORNE OAKLEY! The performance promises to be very unusual and interesting. The program will feature mostly new songs, with a small number of time-tested songs, the new tunes will feature several powerful songs from a future tribute to the "KIPELOV" band as well as songs of Nazareth, Deep Purple, Dragonforce, Iron Maiden, Korpiklaani, and other wonderful bands. Last edited by Strovar; Mar 26 2018 at 07:56 AM. The program will feature a lot of great music, a few songs will be performed using the fiddle. The impressions of the concert are just wonderful, it was nice to read many good reviews from such a gorgeous audience! We are glad that people liked our music! Thanks to everyone who came to our concert! Thanks to the sweet lady Acorne! Thanks to the organizers and our musicians! A special thanks for a great debut on the big stage to a great dwarf of legendary dwarf-kinship "Gabilgathol" - Azannuzbad, you did great! Last edited by Strovar; Mar 31 2018 at 08:52 AM. Summer... The feeling of freedom gradually begins to fill people, with the first breath of wind in the warm June night there is an incredible sense of romanticism and emancipation, a feeling that gives the wind of freedom! Summer is the perfect time for guitar music! And what could be better than to perform it in the company of wonderful bands and excellent organizers, because on June 9 will be a performance of "Arda" at the second annual Summer Music festival on the Brandywine under the patronage of Maestro Zaxin and the wonderful band RKO together with the Minstrel Guild of Bree. Unlike last year's performance, this time our setlist will be mostly of powerful and "summer" Russian folk-rock and folk-metal. Our performance will be especially interesting to the fans of "Arkona" and "Kalevala". In 5 days "Arda" will perform at the second annual Brandywine Summer Music festival! The festival starts at 2pm servertime, we perform at 3pm servertime. Freedom, summer rock and Slavic sound - all this you will hear when you come to our performance on the Brandywine, the festival will be held at the scene in Bree festival grounds. Today in 3 hours, at 2pm servertime, the second annual Brandywine Summer Music festival starts at Brandywine on the stage in Bree festival grounds! The festival was held at the same cool level as last year, the audience was great, no one interfered in the smooth flow of music. There were a few technical moments in the songs, but still it turned out to convey the music all that we planned! Thanks to the organizers for the invitation to perform at this great festival for the second time, thanks to all musicians and the wonderful audience so cheerfully reacted to the performances! 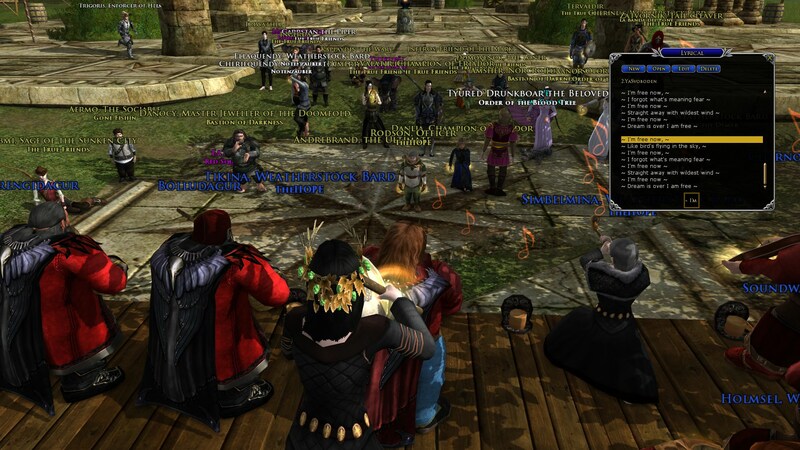 The legendary music festival Weatherstock will soon celebrate its 10th anniversary! 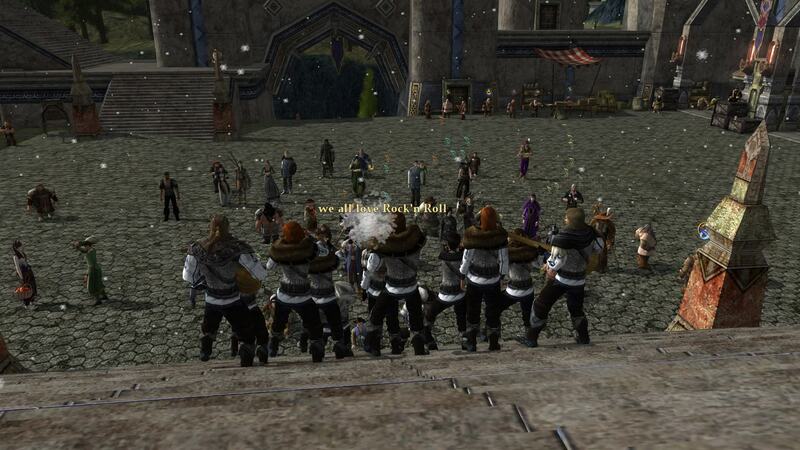 Concerts of the Weatherstock Concert Series will be held from the 7th to the 8th of July on the Bree festival grounds stage of Landroval. I'll be busy at the 7th and 8th of July and will not be able to attend the game at these dates, so ARDA this year will not perform at Weatherstock, but we can't completely miss this event because at the 10th Weatherstock we will help and perform together with The Country Bluegrass Band. We are looking forward to perform together with such friendly musicians! 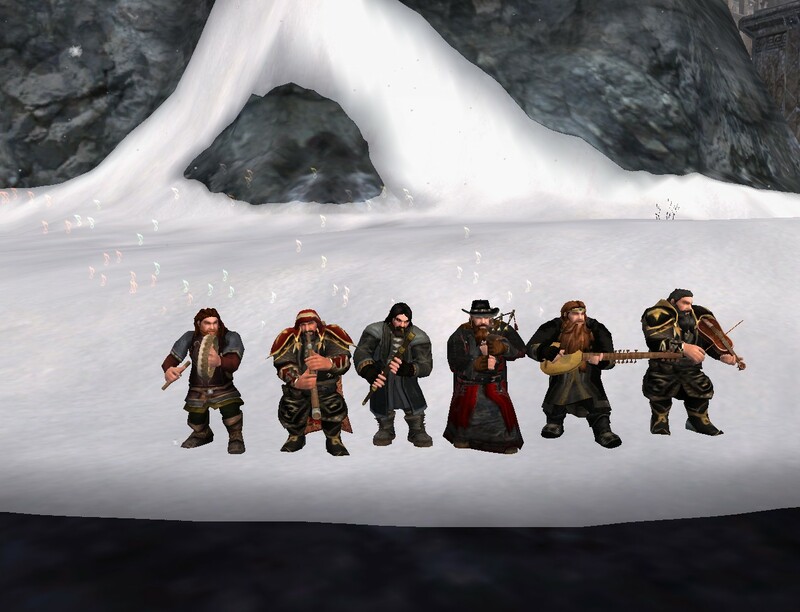 At 7th July Mitraliel of ARDA will play together with The Country Bluegrass band at their WCS concert, the performance will begin at 4pm servertime and lasts 30 minutes. And at the 21th of July ARDA and The Country Bluegrass band will perform together at the Top, the time-slot of our performance will be known later. 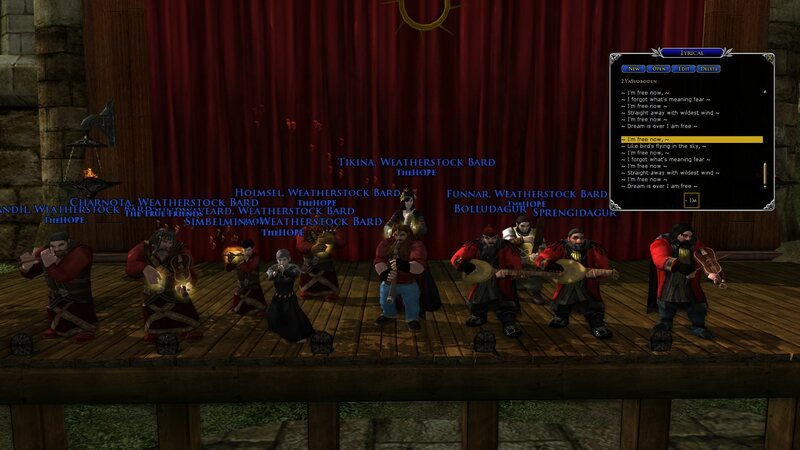 Congrats to all with the 10th Anniversary of Weatherstock! Last edited by Strovar; Jul 04 2018 at 12:31 PM. 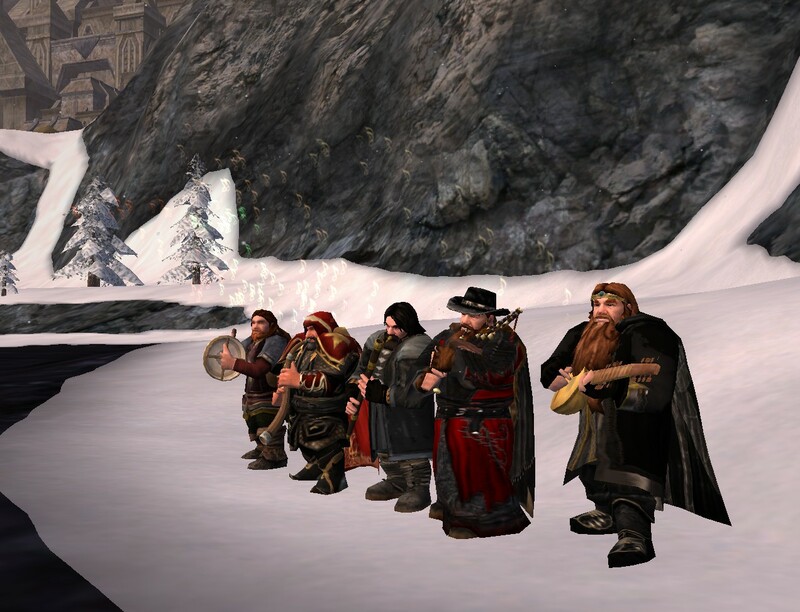 ARDA will be busy at the 21th of July and will not be available to perform together with The Country Bluegrass band at the Weathertop. Very soon the ARDA band will celebrate a two-years Anniversary! For two years we have been faithful to the ideals of rock and metal music and try to enjoy the positive, true freedom and smooth flow of music! We decided to host a festival in the our Kinhouse, in honor to our first Anniversary event, that was very emotional and soulful! This year Anniversary event will be celebrated at the Laurelin, at the festival will perform several bands that did not perform last year, for example - Traveling Bilberries, The Dirty River Folk, Les Daft Pigs and the Crazy Ladies of the Forest, as well as those bands that have already performed last year. Upd. The Rolling Kegs will be busy at 25th of August, Les Daft Pigs will perform instead them, many thanks to them! The festival will start on 25th of August, at Laurelin, from 1pm to ~ 5:30pm servertime, it will be held inside the kin house of our band. Venue: Thorin's Hall homesteads, Mekirhyl, Roaring Road, 5. 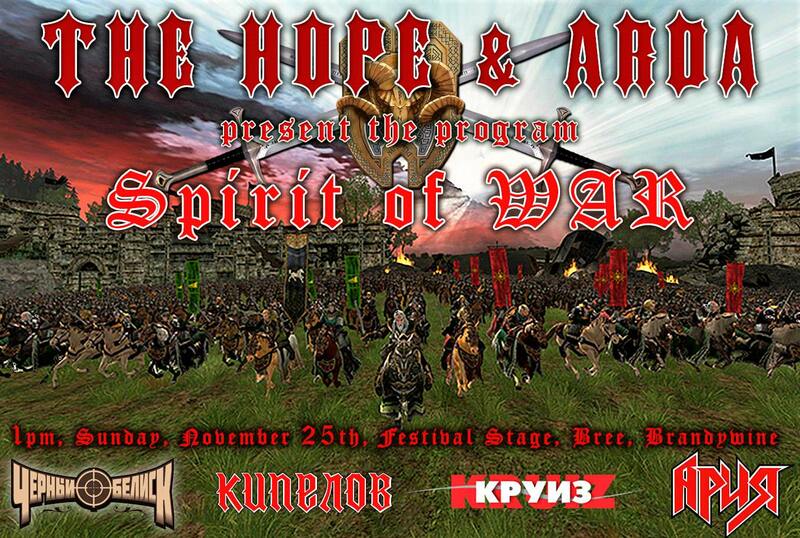 Instead of a performance of "Arda" for the opening of the festival was chosen the performance of one soulful composition, the best Russian heavy-metal ballad, which will be performed together with the participants of the bands performing at the anniversary festival, the song will be played by megaband of 10 people! Many thanks to master Balagur, he will do a live stream of the half of the festival in 2k video quality on YouTube! Last edited by Strovar; Aug 21 2018 at 07:56 AM. Less than 3 hours left for the festival dedicated to the celebration of the Two-year Anniversary of "Arda"! The event will begin at 1pm servertime and will last until about 5:30pm! Location: Laurelin, Thorin's Hall homesteads, Mekirhyl, Roaring Road, 5, inside the kinhouse. The sincerity of the event was at the level of the first anniversary! So much positivity! Thanks to all super bands that gave today a lot of great music and positive emotions! Thanks to all listeners, which was many! I hope that everyone felt all the positivity of the festival! Special thanks to the master Balagur for streaming, 4 hours of live stream - it's very cool! Thank you for the live broadcast, the quality of the stream is wonderful! 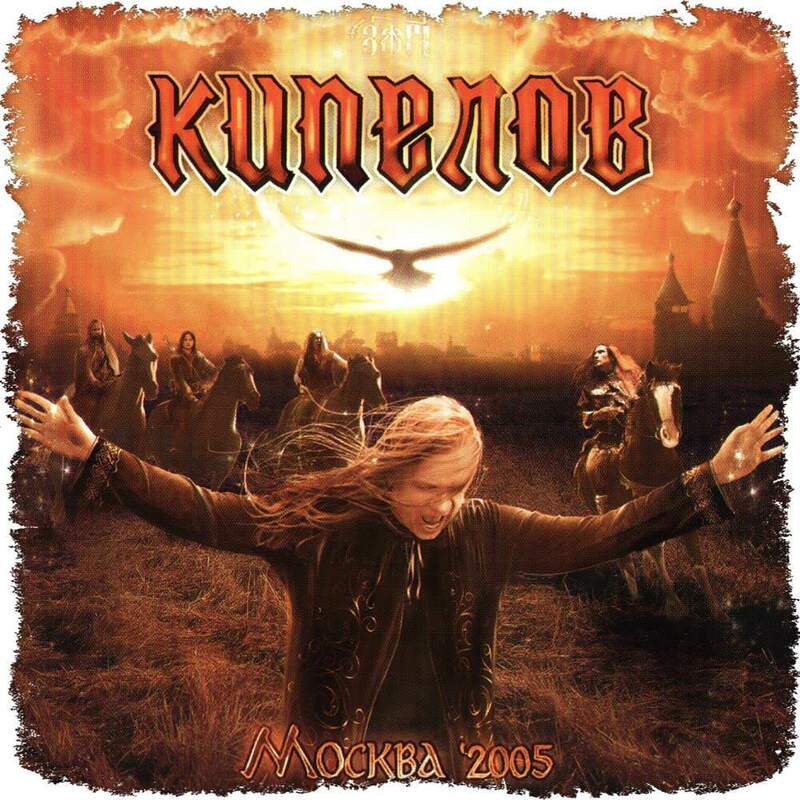 Megaband of 10 people performed the best Russian heavy metal ballad, Kipelov - I am free! It was very nice to see the cheerful reaction of the audience to this song! Performing a legendary song with such experienced musicians is a huge experience and very pleasant! There was so many surprises and classic of Rock music, thanks to grand bands! The next performance of "Arda" will be in early September, it will be the debut performance on the new for "Arda" server, the announcement will appear later. At 8th of September "Arda" will take part in it, it will be our debut performance on this server! The performance will be together with the wonderful master dwarf Bragomur and the mighty bards from the "Mondbarden", many thanks to the organizers and lady Tunvil personally for desire to hear the cheerful sound of heavy-metal in our version, and for the together performance, it is a big honor! Venue - Belegaer, Ered Luin, gorgeous dwarven city of Gondamon! The setlist will feature heavy and folk metal songs from Russia, Germany, Scotland and Finland! There will be a 3 new songs. 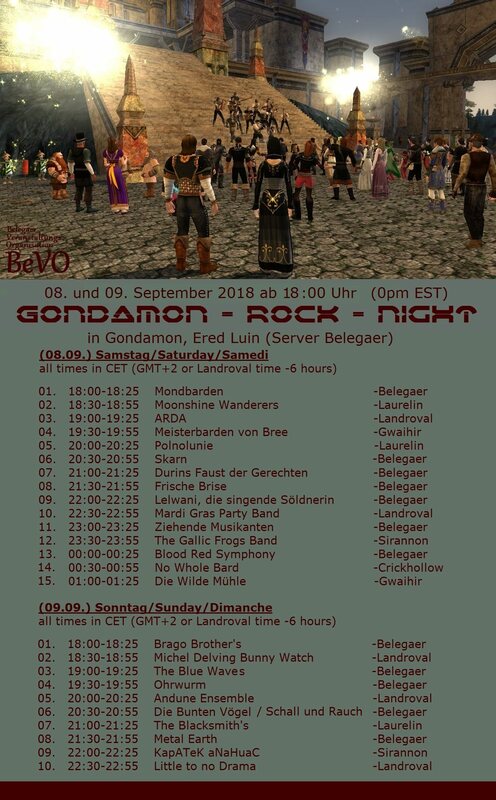 Today starts the Gondamon Rock Night 2018! "Arda" will perform at 1pm servertime! There will be powerful and melodic songs from different countries in our setlist. The whole festival can be characterized by a capacious phrase of wonderful "Mondbarden", that gorgeous opens this event - "We all love Rock'n'roll!" 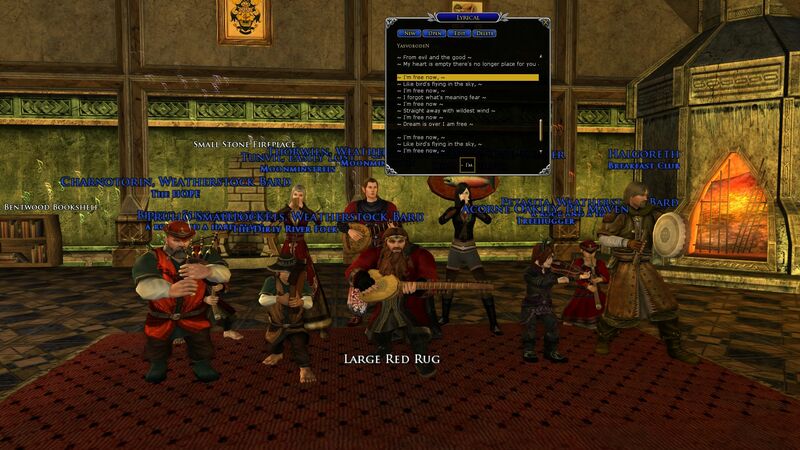 Many great bands rocked the great dwarven city under a rough applause of numerous lovers of lively music! Thanks to all listeners and wonderful bands, there was a lot of cheerful music! Thanks to Mondbarden, Lady Tunvil and Master Bragomur for the invitation, wonderful organization and the together performance, it was a big honor for me and was great! Special thanks to lady Tunvil for a chic adaptation of the original Russian text into German language in the song Aria - Beast. This new experience was a big success! At the November will be the mighty and powerful heavy-metal concert together with amazing "The Hope" at Brandywine, this concert will be mostly interesting to the Russian community. More info and poster will come soon! 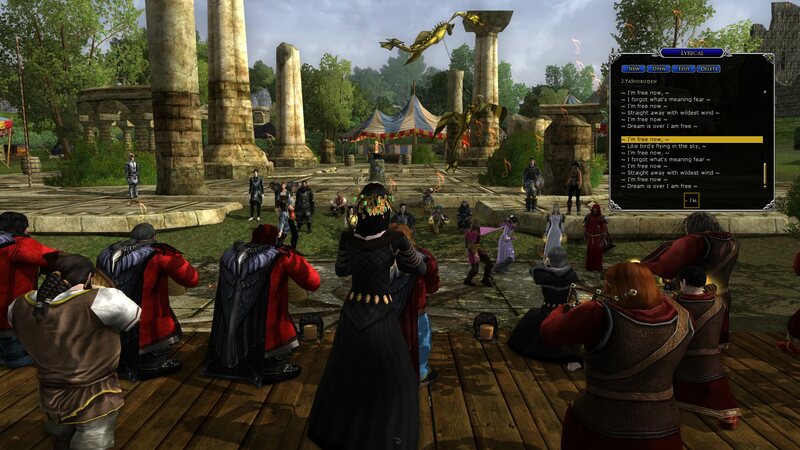 The Arda was honored to perform at the grand dwarven wedding, thanks for the invitation to miss Omali! Thank you to master Sinfi, master Sprengidagur and master Banstein for wonderful possession of musical instruments! We are enjoyed to perform there, many congratulations to Frui and Ivita! Hear... Somewhere in the distance can heard the clatter of hoofs, a thousand times intensified by "wild wind" which replaced the "Calm". ...The blood-drenched horizon... and echo carries the wind ringing gallop of mighty guitar horses, announcing the beginning of the concert, dedicated to the work of "fathers" of the Russian heavy-metal - Aria and Kipelov! The concert will be dedicated mainly to Aria and Kipelov, with a bonus in the form of some wonderful songs of "Cruise" and "Black Obelisk"! This concert is planned primarily for the Russian-speaking audience and, although it will be more relevant and interesting for her, mostly of songs will be performed both in Russian and in English, specially for our foreign friends. Hurry up to see, the performance will be unique in the setlist, never before at a real concert (and even at announced in the game concert!) there was no such amazing combination of songs, this performance will be timed to the 33rd anniversary of "Aria" and to the recent release of the 13th album of this iconic band! The concert will present the synergy of true freedom and rebelliousness of Slavic spirit! The journey through the masterpiece compositions, the real places of glory, filled with the courage of the heroes of asphalt and the bravery of the ancient Russian warriors will be held on November 25 at 1pm servertime! I want to express my gratitude to The Hope and personally to Charnothorin for the great idea and for inviting us to this powerful concert dedicated to this significant for Russia bands, it is a honor for "Arda" to play with such experienced musicians! A special thank you for the gorgeous poster, when you look at that, involuntarily recall the lines of song - "The wind braided our horses' manes, we galloped further, burning out fields"
And let the anvils ring, and let the guitar strings sparkle like hot hammers in the hands of blacksmiths! There are less than 3 days before the footsteps of the mighty horse horde! 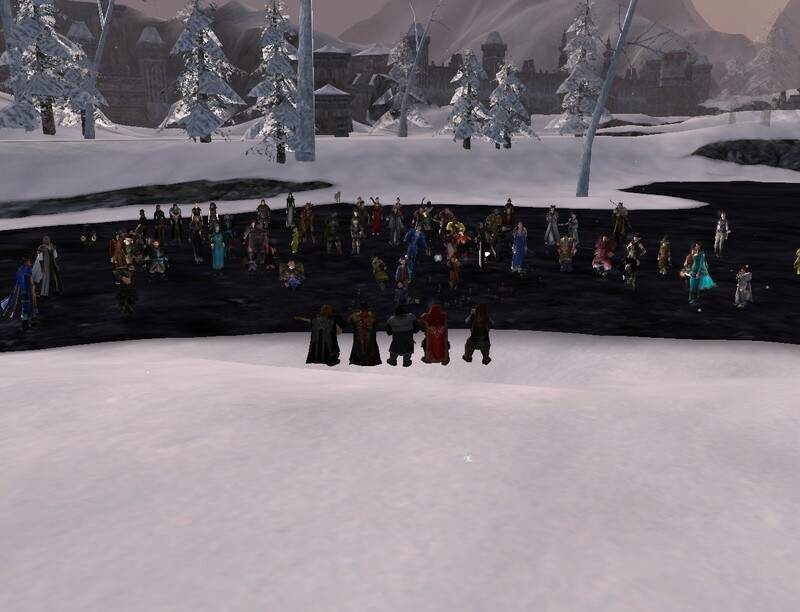 The day after tomorrow at 1pm servertime will starts a together concert of The Hope and Arda! The show promises to be brutal and melodic, like a burning arrow our musical train will go forward, on the way we will meet the carefree riders and harsh chimeras! Very soon will start together concert of "The Hope" and "Arda" in honor of Aria and Kipelov! Today, at 1pm servertime on Brandy! Venue - Bree festival grounds stage, you can get there via horse, which stands in the stables of this wonderful city. Let's rock this world together! ...We drove on the roads... Together with a wonderful audience, we celebrated the release of Aria's new album and their 33rd anniversary! Despite some lags, everything was at the highest level, the audience enjoyed the canonical metal with us! It was very cool that there was many grand listeners! Thanks to our musicians - Sinffi, Bolludagur and Sprengidagur, thanks to The Hope and Maestro Charnotorin for the invitation, it was very honorable and great, a new experience of a grand together concert with another wonderful band, and it was a big success! 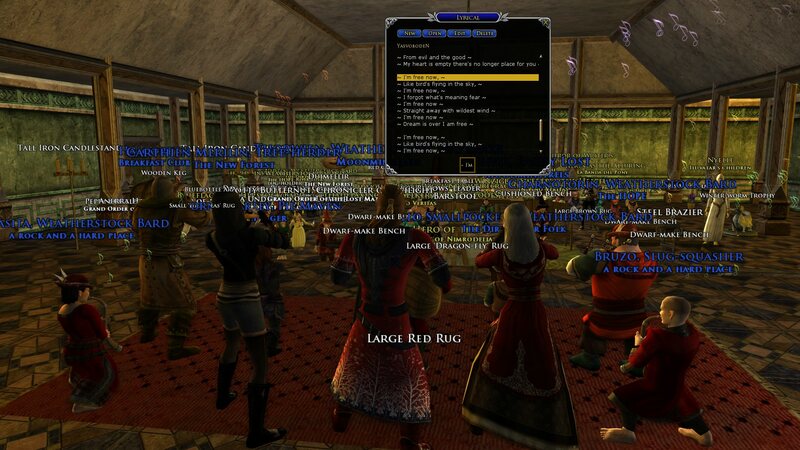 Songs sounded great, some compositions was with unusual and nice arrangements, and it was entertaining to see the couple of dancing high-elves by song "I'm free"! All songs on this concert was created by Maestro Charnotorin, thank him for the wonderful variations of legendary songs! The setlist was very unusual, such combination of songs of Aria and Kipelov on a real concert I've never seen! Once again I want to say thank you to Master Balagur for the live stream, video and sound quality is gorgeous, as always! Less than a week before the charming winter festival "Winterstock"! 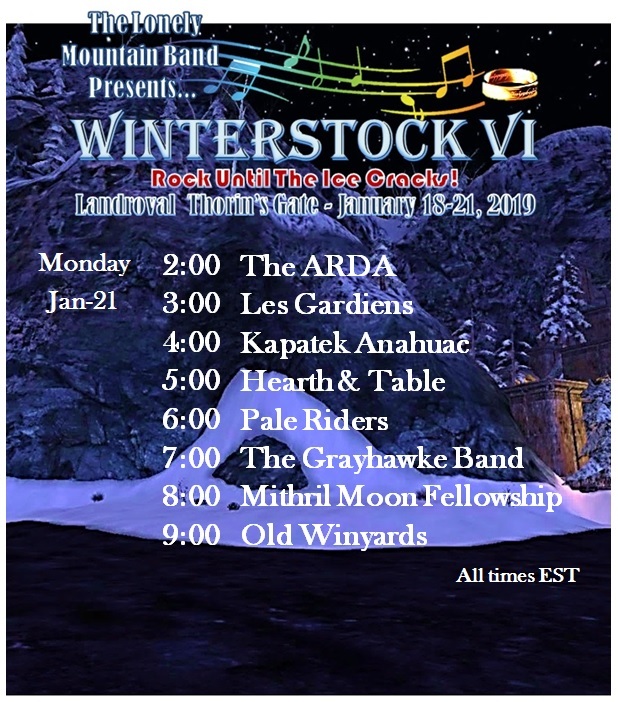 A lot of snow has fallen, frosts are approaching, but on Winterstock you will get warm, because the "Arda" band will perform on January 21 at 2pm servertime, the organizers made the wonderful slogan this year! 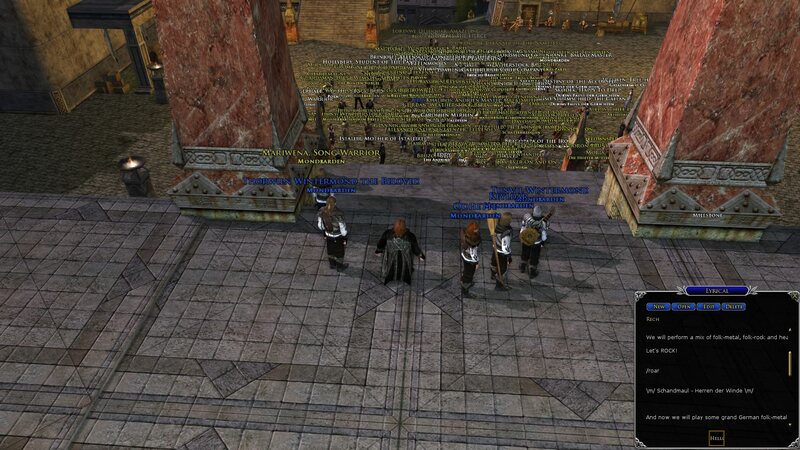 Few hours before the start of the fourth day of the charming Winterstock! For these 3 days there was many excellent performances! "Arda" with big honour opens the 4th day of this wonderful festival at 2pm servertime with melodic rock and metal set! The festival was very powerful! It's cool that this year there was more rock and metal songs! Thanks to the organizers, to all listeners and to great bands, it was great! Special thanks to our musicians, who once again skillfully played their song parts, special thanks to the master Geernoth for the gorgeous performance of the text in In Extremo's song! And many thanks to Master Sprengidagur for grand version of Cotton-eye Joe! It was nice to perform again at this wonderful event, despite the some issues with the two songs, it was very soulful! We were pleased with the rave reviews from the audience that supported us, it was especially reverent to perform Bohemian Rhapsody, we are glad that our version of this legendary song received good reviews! Thanks to Lady Holly and Master Cordovan for the stream and sweet videos. P.S Thanks for a memorable screenshots to Master Sinffi and Master Sprengidagur! Last edited by Strovar; Jan 23 2019 at 05:30 AM. Thanks again for the grand video! Last edited by Strovar; Jan 24 2019 at 01:51 PM.